The Sioux Empire United Way (SEUW) has been uncommonly successful in raising funds to benefit the programs it supports. Based in Sioux Falls, South Dakota, it has tripled its campaign in the past two decades while the aggregate national fundraising totals for all United Way chapters have stagnated. Winding up its 2018 campaign and awaiting one more corporate commitment to make 100 percent of its $10.3 million goal, SEUW anticipates distributing almost $8 million of those funds in 2018 to about 60 agencies providing services through about 90 supported programs. “We fund the gap,” said Jay Powell, Sioux Empire United Way’s president. Assuming leadership in 1999, he said that his organization sees itself as the funder of last resort for agencies unable to balance their program budgets while serving people in need. Many donors and nonprofits would find this characterization surprising. The Sioux Falls chapter was founded in 1929 and remains emblematic of the United Way brand’s reputation for attracting the local business elite to coordinate corporate and employee giving and target it to address charitable needs identified by its 869 volunteers and 11 staff (2016 figures). Such longevity and resources would typically imply a less “immediate need”–focused philosophy of support. There are almost 1,500 nonprofit organizations in the area, and SEUW’s focus on 60 agencies each year (most of which have been supported for decades) sometimes appears more than selective. It’s also significant that, according to Powell, about 25 percent of United Way-funded programs in the Sioux Falls area were programs initiated or “imported” to the community by SEUW itself and subsequently “placed” or “housed” within a local nonprofit organization. It’s assumed by United Way leaders, donors, and community supporters that a nonprofit would actively seek and always choose to become a partner agency. The reality from the nonprofit agency side is not nearly as clear-cut. SEUW has extensive eligibility requirements for its grantees, from requiring annual financial audits from any agency with a total budget of $100,000 or more and participation by grantees’ staffs in fundraising rallies and events held at employers’ locations, to strict compliance with a 90-day fundraising-prohibited “blackout” from August 1st to October 31st. There is a “strong preference” for funded agencies to have strategic plans in place, and SEUW provides modest support for this by providing matching funds up to $1,000 to agencies engaging a planning consultant or facilitator. There are extensive reporting requirements, site visits by volunteer committees, and a multi-phase application process that includes written documents as well as a panel interview. Agencies are typically prohibited from having more than 120 days unrestricted operating reserves in their budgets, regardless of the seasonality of their revenue production or of their expense requirements. More than one local nonprofit executive reports United Way representatives encouraged maximizing the amount of restricted revenue shown on financial statements as a way to better demonstrate need for United Way funding. Some fear that this “creative accounting” advice may inspire agencies to hide income or even establish new, related corporations to handle revenue derived from “fee for service” clienteles supported by government contracts or sliding fee scale payments from clients themselves. Based on a review of their IRS Form 990 returns on GuideStar, SEUW’s individual agency and program grant awards from 2013 to 2016 range from more than $800,000 down to a low of $6,000. The extensive local United Way requirements can be problematic for some midsize and smaller nonprofits seeking modest support. These problems are intensified when the same agencies are penalized for their fund development success. One such agency, Family Visitation Center, provides a safe and neutral environment for children to visit with noncustodial parents under court supervision agreements, as well as a place for divorced or separated parents to transfer their children back and forth without having to encounter each other personally. SEUW reacted to the fundraising successes by concluding that the “gap” it needed to fill was no longer anywhere near what it had been, and instead offered a $10,000 allocation to the agency. The agency, in turn, determined that the costs associated with accepting the allocation were greater than the award amount. Looking at the blackout period alone, the development director’s quarterly salary and benefits would be greater than the SEUW’s offered award. Moreover, being freed to fundraise during the United Way’s 90-day blackout period would allow FVC to raise far more than $10,000 during the three-month period. FVC notified United Way that they would not accept the reduced award. Meanwhile, during the months these events and deliberations were taking place, FVC’s 2017 fundraising boon had been spent by offering services to more families throughout the week. Without the continuing commitment of support from SEUW at previous levels and lacking other funds, FVC once again closed its offices on Sundays to save money. Both sides of the dispute are upset. SEUW believes that FVC closed on Sundays before their funding decision was final and were unaware of the true state of FVC’s cash flow, despite having full access to FVC’s budget as part of the application process. FVC believes SEUW doesn’t appreciate the burdens nonprofits take on when accepting relatively small allocation awards, and that SEUW made its decisions based on partially accurate press reports of the nonprofit’s fundraising successes. Further, FVC representatives are bemused that SEUW representatives appeared to be offended that FVC turned down the $10,000 award. One thing both organization’s leaders agree upon is that their actions and decisions were necessary and correct given the situation and their respective missions, policies, and duties. In keeping with its “funding the gap” philosophy, Sioux Empire United Way doesn’t support capacity building, professional and volunteer development, governance support, or other nonprofit efforts not directly tied to direct service. They also have a generally negative attitude about smaller agencies hiring development professionals. “We believe that a development director needs to raise at least their salary and benefits to be justifiable, and preferably at least three times their salary,” said SEUW’s Powell. When asked whether the costs of establishing a new development function in a nonprofit or the three to five years for such an effort to mature, neither Powell nor Kristi Kranz, SEUW’s Community Impact Director, indicated that a long-term view had been considered by SEUW’s leaders. For Family Visitation Center, it would have helped greatly to understand that SEUW expected that first use for any of its increased fundraising income would go to the program SEUW funded rather than expanding other FVC program services. Similarly, FVC could have been made aware that SEUW allocations process encourages presentation of financials showing restricted as well as unrestricted funds to illustrate the agency’s funding gap to greatest advantage. If Sioux Empire United Way had understood the cash flow concerns as well as budgetary issues at FVC, and if it had not made budget and funding assumptions based on press reports, the outcome of the dispute would likely have changed to the benefit of both organizations. Sioux Empire United Way has its own challenges to address. Two negative trends identified by Powell are an increasing percentage of support coming from a smaller group of donors and the tendency of younger donors to do their giving outside the United Way umbrella, preferring to become personally involved with specific charities rather than trusting and delegating their charitable efforts to a third party like the local United Way. 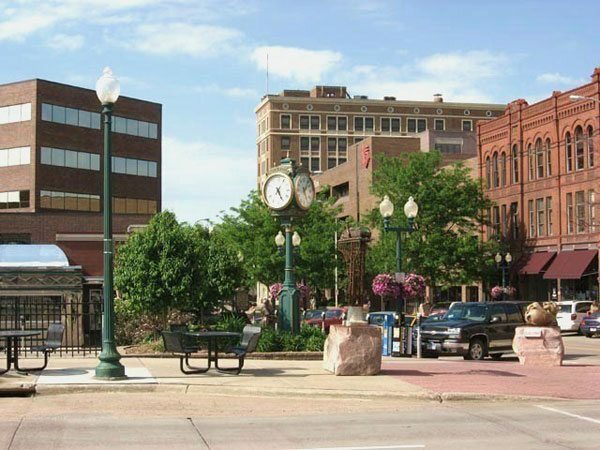 There is also the concern that many of Sioux Falls’ largest employers either have been sold to out-of-state corporations or are large nonprofit organizations themselves. While corporations often give where they have operations, they tend to focus their largest and most significant corporate giving in their headquarters community. This fact, and its demonstration in the SEUW service area, makes it more difficult for SEUW to attract large corporate gifts. The two largest employers in Sioux Falls are nonprofit regional health systems that are both supporters of and recipient agencies of the local United Way. Collectively, these giving trends and patterns have reduced increases in SEUW’s year-to-year campaign goals to about one percent annually, far below the agency’s 5–10 percent annual increases as recently as ten years ago. The history of United Way’s mission locally and nationally has been to coordinate and centralize local corporate giving, reducing the number of requests received by companies and providing assurance that funds collected will be allocated in an effective and prudent manner to address community needs. This means that corporations and their employees, as donors, are United Way’s “primary customers,” with recipient charities being the agents (or “supporting customers,” to use Peter Drucker’s term) through which United Way satisfies its own donors. Anxiety about SEUW’s future may cause its leaders to focus inward and cleave to their donors, potentially at the expense of maintaining or building communication and relationships with its local agencies and the larger charitable community. Recently, Powell made a commitment to personally visit the executive directors of each of the agencies with programs funded by SEUW. He said that he visited with “six or eight” nonprofit CEOs in their offices last year and plans to continue the process as his time allows. Ideally, these conversations can act as a starting point of a larger SEUW initiative to build transparency and equity between Sioux Empire United Way and its nonprofit partners. Nonprofits need to hear more about United Way’s challenges, and United Way needs to take into account how its community perception threatens its reputation with its community’s nonprofit leaders and donors. With the relative positional power of a multimillion-dollar funder and the added status coming from an established brand with considerable business community volunteer leadership and support, Sioux Empire United Way will need to go more than halfway to build the trust of its funded agencies. Without concerted effort, lack of information exchange and misunderstandings will intensify and result in more nonprofits raising legitimate questions about the value of their relationship with United Way. The fact that information on the management of variations on nonprofit business models is not already broadly available is a scandal and a problem for emerging and even many seasoned leaders.